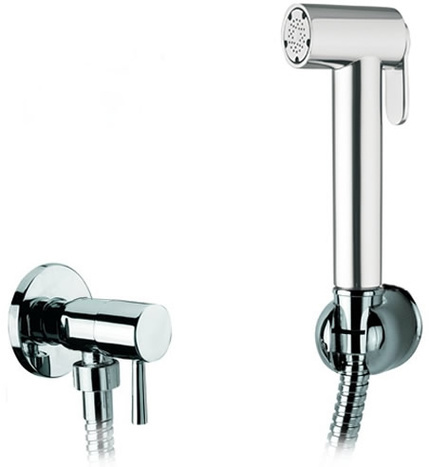 BRA4800: Elegant in design, beatifull Italian crafted bidet shower with 1.2M High Pressure antI- tangle PVC hose in silver grey and wall mounting bracket plus VAL0800 ceramic core water isolating valve. To view larger images and additional important information, click on the image to the left which will the load main page where more detailed information is available. 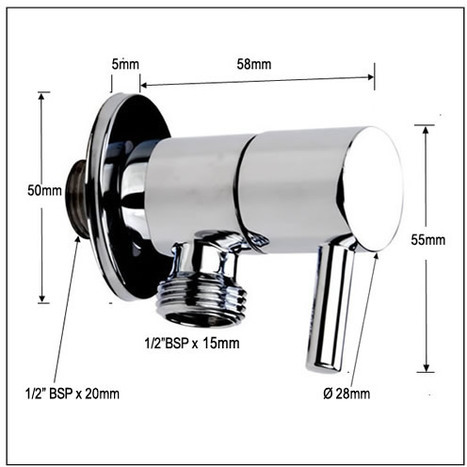 Shower head with water control trigger The bidet spray head is manufactured in A grade brass with a mirror chromium plate finish. 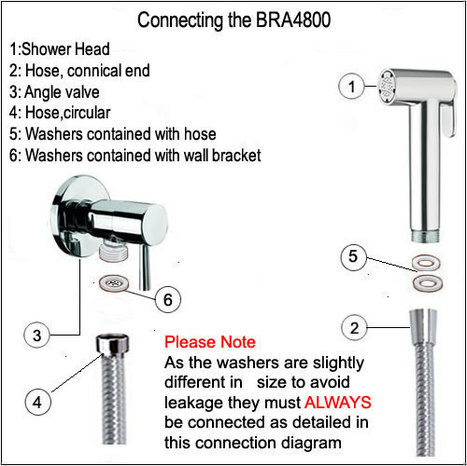 Please note for safety and to avoid discomfort to sensitive areas the shower trigger is restricted and will not operate above 3 bar water pressure. In the unlikely sitaution your water pressure exceeds 3 bar please have your plumber fit a pressure reducing valve. 1.2M High Pressure anti- tangle PVC hose in silver grey. 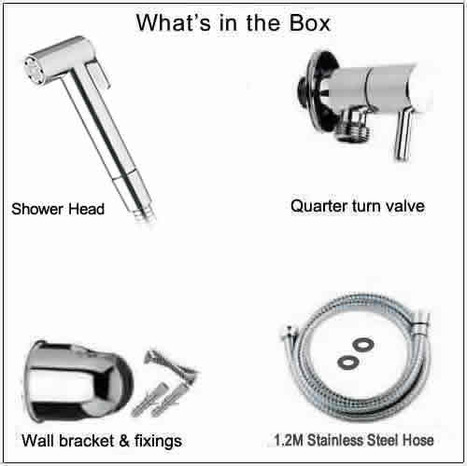 These hoses are specifically designed for use with our Douche Showers. 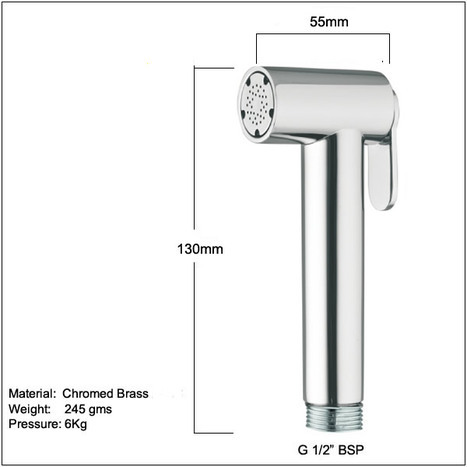 The flexible, 1.2m ( 42") length is designed to with stand more than three times your normal domestic water pressure. Special wall mounting bracket and fixings, enabling you to hang your Douche Shower in a convenient location within easy reach of the toilet. Basic installation information available by clicking the Installation Guides. 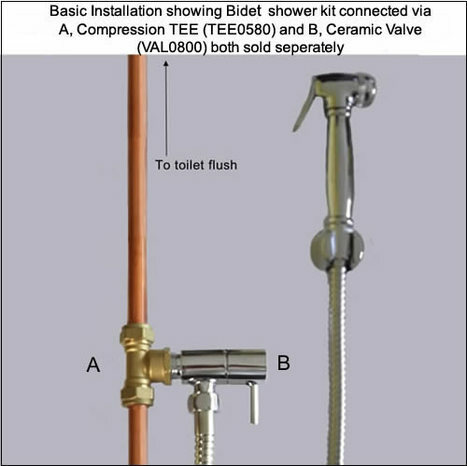 We strongly suggest you fit your bidet shower via a water isolating valve and turn off after Each use, this not only extends the life of the shower and hose but also safeguards against accidental spillages.